Contabo game servers are available! 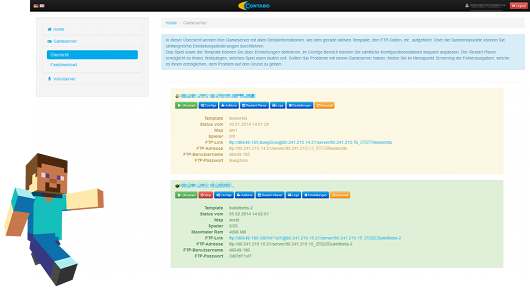 The wait is over: The Contabo game servers are available! In our start lineup we are presenting all most common played games on game servers like the Counter-Strike universe and several Minecraft server types. Our game servers are running on highly optimized hardware with special performance Linux kernels so you will always receive the best and lag-free performance - at very attractive prices - like on every other Contabo product! For finishing our international game server release we worked hard and supported the open-source game server web interface Easy-WI with several additions from our programmers. This support will of course be continued in the future. 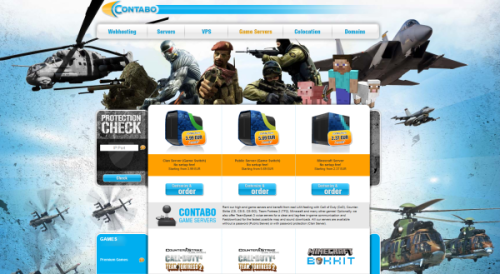 We are offering all Contabo game servers without any setup fees and with a highly attractive branding option. So get yours today! You can find all details on our website. We would be very happy to welcome you as a new game server customer soon!